Choosing a flooring material when you don’t have any pets can be complicated enough, but trying to choose a pet friendly one can feel downright stressful. It's not unusual to come home to find that your dog made a mess in the kitchen. 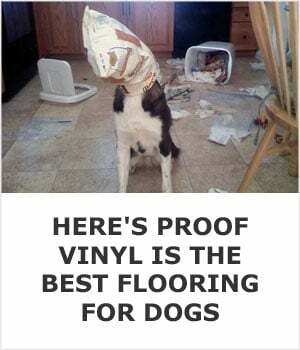 Cost, appearance, and durability are things to keep in mind when shopping for a floor under any circumstances, but if you’ve got a dog living with you durability quickly becomes the most important factor.